Real Photographic - Publisher not stated (H Darlow Wooton) (2014). Courtesy of David Thomas. 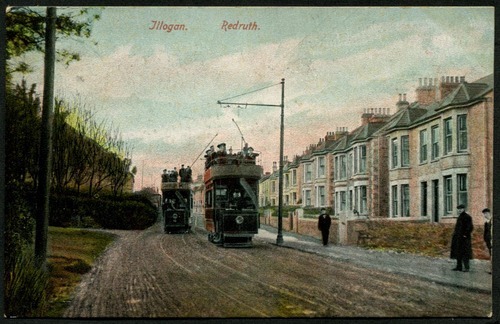 Real photographic - H D Wootton, Albany Road, Redruth (1449). Courtesy of David Thomas. 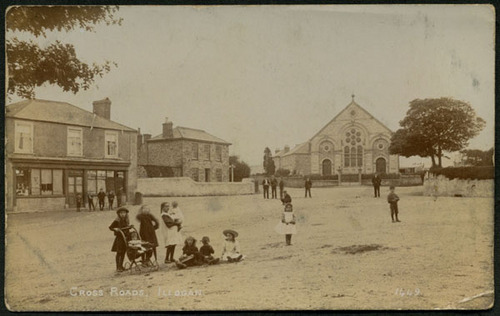 Shows the 1891 United Methodist Free Church chapel, which replaced the earlier chapel of 1854. Kelly's Directory of 1906 gives Bertie James Mayne of Pool as surgeon, medical officer and public vaccinator for the Illogan district and medical officer to the Rural District Isolation Hospital of the Redruth Union. 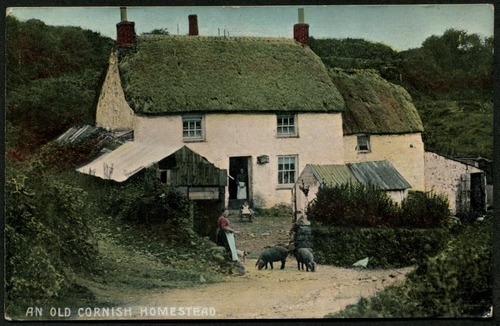 He died, aged 52, at Peckham House, Peckham, in south east London and was buried on the 23rd of April 1924 at Illogan. 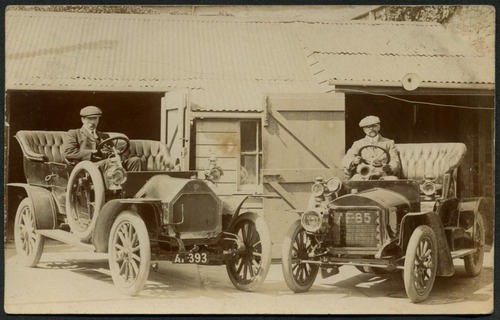 The motor car shown on the left (AF393) is a 14-16 horse power Belsize Petrol Car, with Tonneau 5-seated body and, when registered, green paintwork with natural coloured wheels coated with varnish. 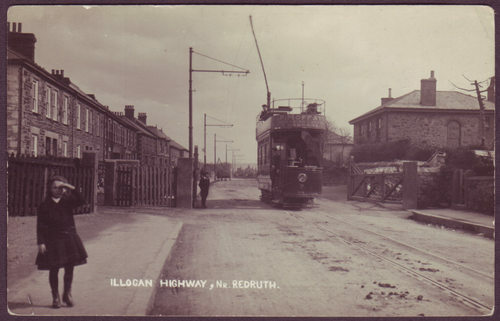 The motor car was registered to Mr Mayne on the 20th of January 1909, for private and professional use, and was sold to Mrs John Wallis of Lissadale, St Buryan on the 28th of August 1918. 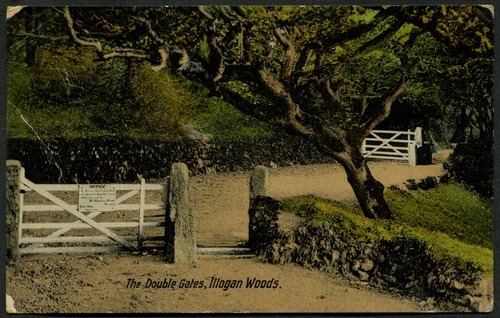 Three months later the car was transferred to Taylor's Garage Ltd of Penzance, who converted the car into a van and sold it to George Henry Johns of Treloquithack, Wendron on the 8th of April 1920. The motor car to the right (AF85) is an 8 horse power dark green Wolseley 3-seated phaeton. The car was bought by Bertie James Mayne on the 6th of February 1908. 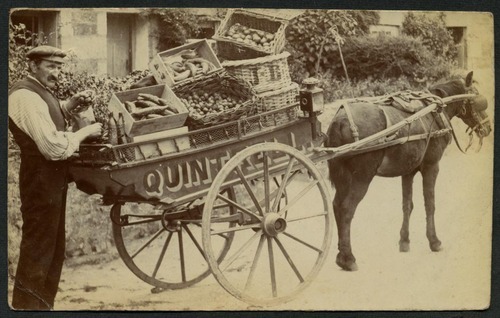 He sold it to the County Coach Factory Co of Lemon Quay, Truro on the 29th of June 1910. 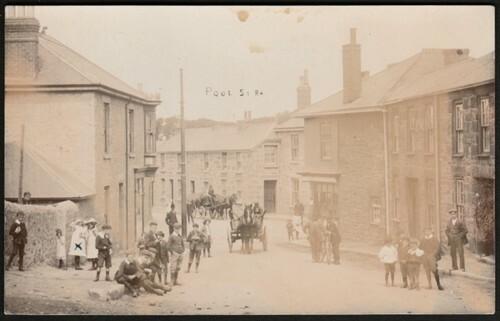 The registration number originally belonged to a dark blue 2 cylinder 7 horse power "Star" Car and was registered to William Charles Stephens of Endsleigh, Camborne on the 19th of May 1904. 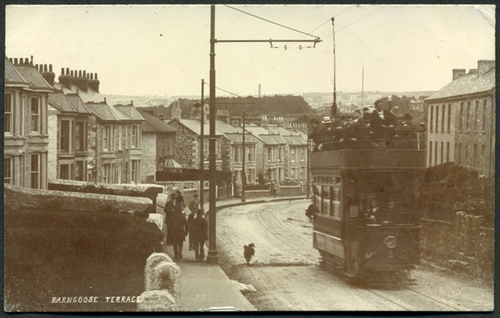 This car was sold to Thomas Martin Lowry of Laminga, Pendarves Road, Camborne on the 7th of February 1906 who then sold it to B J Neague on the 6th of February 1908. 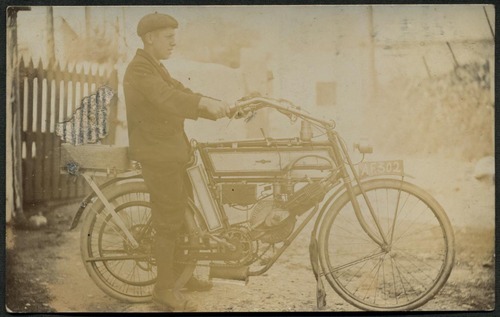 The registration plate (AF302) shown in this photographic postcard was originally registered on the 7th of February 1908 to Edward Cuthbert Sylvester Findlay of Sladesbridge near Wadebridge for a Triumph motorcycle, and was transferred to R C Lauder of Lemail, Egloshayle on the 26th of September 1910. 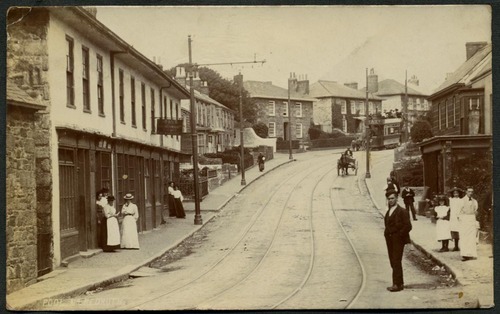 He sold it to Tom Saunders, watchmaker, jeweller, cycle agent and stationer of Fore Street, Pool, on the 29th of August 1911. 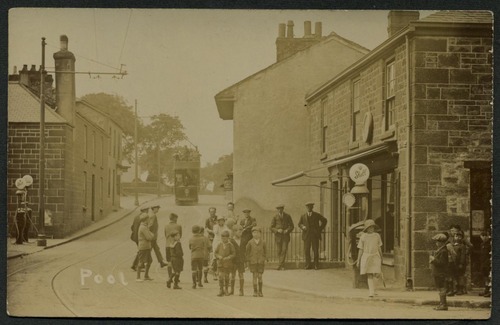 This photograph, which is likely to have been taken by Mr Saunders (as are the previous photo and a number of the other photographic postcards of Pool featured on this page) shows not a Triumph, but a c.1904 Humber, though it was not uncommon for registration plates to be swapped at this date (with thanks to Howard Burrows for this information), and probably shows his son seated on the vehicle. 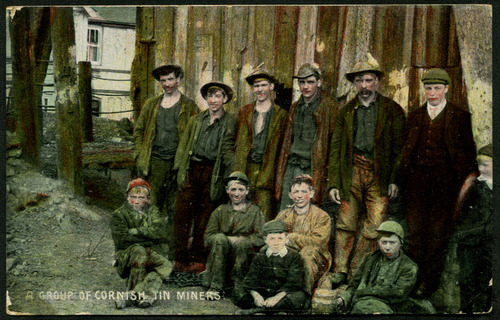 The plate was sold on the 20th of March 1912 to Joseph James Blight of 6 Edward Street, Tuckingmill, who transferred it on the 7th of August of that year to Ralph Maynard of Tuckingmill. 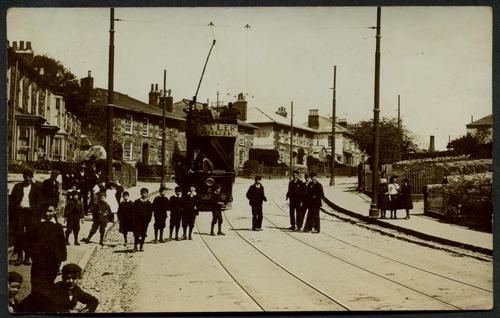 He in turn sold it on the 1st of January 1913 to William Treverton of Stop Tide, Rock, St Minver who then transferred it to Edward Pascoe Carne of 11 The Parade, Lostwithiel on the 13th of July 1914. 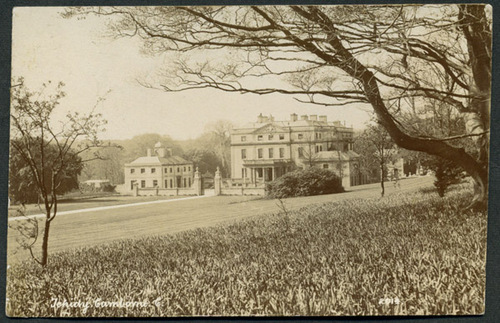 It was then sold to H B Laity of Tregays, Lostwithiel on the 31st of May 1916, and on the 17th of July 1919 he sold it to W S Pascoe. And here the trail finally goes cold. It is not known whether the plate stayed with the Humber or was transerred to a different vehicle. 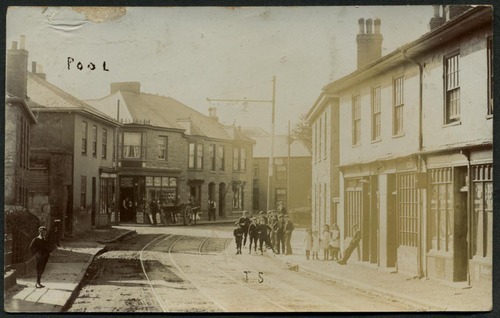 Real photographic - Publisher not stated [Caddy, Redruth] (not numbered). Courtesy of David Thomas. 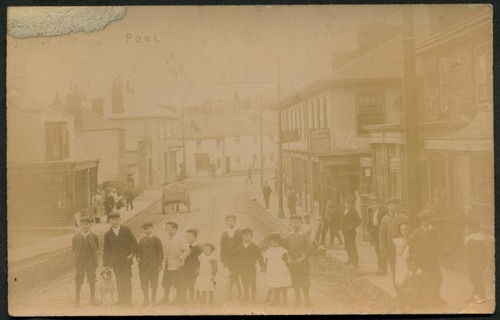 Real Photographic - E A Bragg, Illogan, Real Photograph Series (not numbered). Courtesy of David Thomas.